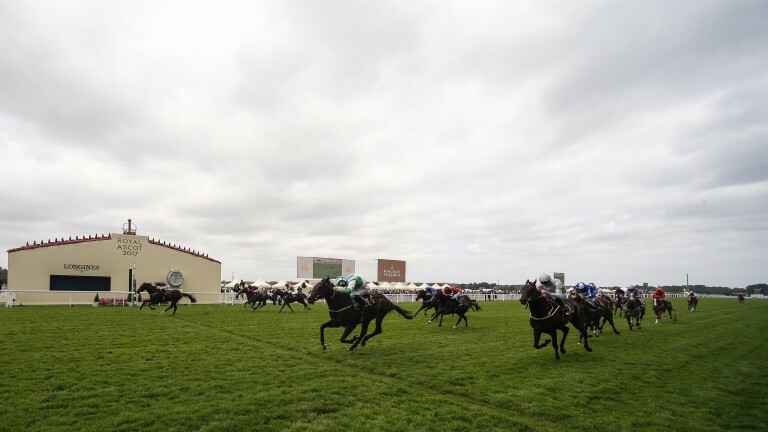 Trainers Declan Carroll and Jeremy Noseda, who each watched on in agony as their horses won the race on their side of the track but still lost at Royal Ascot last week, have criticised the decision to water the course, claiming it created an uneven playing field. Carroll believes the decision cost his star juvenile Santry the Norfolk on Thursday, while Noseda felt Take Me With You had her chance compromised in Friday's Albany. Both horses finished best of those on the stands' side. Noseda said: "The watering during the meeting created a huge bias towards the far side of the track and it's frustrating. "I don't know where she would've finished if she'd raced with the others, she may still have finished third, but all I'd say is I don't feel she got a fair crack of the whip." Carroll was unequivocal in his belief Ascot's decision to water cost him the biggest success of his career and a first winner at the royal meeting. Asked if he felt his horse would have won if racing on the same side as Aidan O'Brien's Sioux Nation, Carroll, whose runner finished second, said: "Absolutely, yeah, I would think so. The ground was quicker on the far side. "The track was watered but it was drying out quicker on the far side as the shade from the stand does not allow the track to dry out as fast on the near side. "It was the slower side, you could see that clearly in every race. It was disappointing on the day but we cannot change the result so we just have to pick ourselves up. Luckily he has a big future." William Haggas, whose Headway led home the group up the stands' side rail in the Coventry on day one, said his horse lost to a better one on the day in Rajasinghe, but said Carroll's Santry was the unluckiest horse of the week. "The draw was a headache all week and it's happened before," he said. "The only thing I can think is – and this didn't effect Headway at all, he was probably on the right side, because the bias appeared to be stands' side for the first day and three-quarters of each field was coming up the stands' rail, and then they watered – it was probably more opened up on the stands' side, and that's why it [the bias] changed. "I think Santry was the most unfortunate horse of the week. He was probably the best horse in his race." 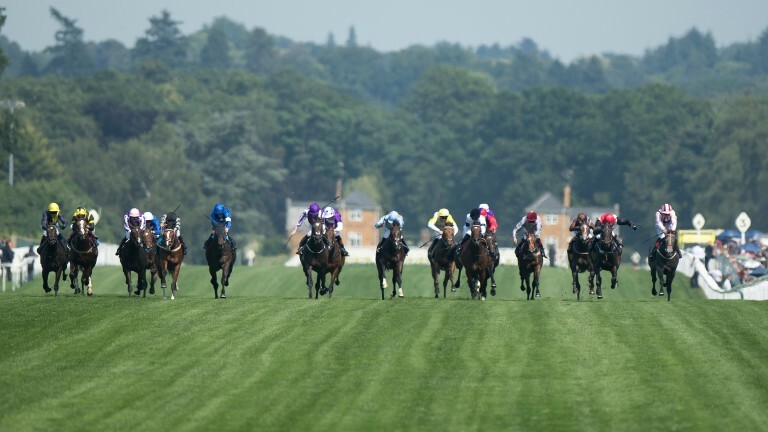 Responding to the trainers' concerns, Ascot clerk of the course Chris Stickels said: "There's definitely an element of truth about the wear, worn ground does not take watering as well as fresh ground, but at this time of year the track isn't shaded at all. That could be the case in the autumn or the spring, but not at this time of year. "I don't think personally there was a huge bias, it's hard to know. If you look at the Wokingham, for example, it could've been down to a pace breakdown in the stands' side group." Roger Charlton, who trains the winner of the stands' side group in the Wokingham, third-placed Projection, echoed that sentiment. "We can never know, you have to take the rough with the smooth when a draw turns out to be perhaps disadvantaged," he said. "Maybe if we'd had more pace on our side, he'd have won it. He hit the front two furlongs out and that didn't suit him."